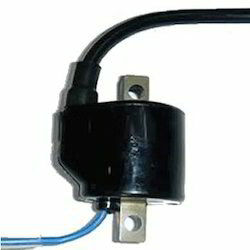 We are manufacturer and supplier of Pulsar Ignition Coils . These high quality Ignition Coils are made by using very high quality raw material which ensures hassle free work performance at its user end. These Ignition Coils are widely finds its valuable applications in various industrial sectors as well as in various automobiles. This Ignition Coil can transform the low voltage of an automobile's battery to thousands of volts in order to create spark to ignite the fuel. Our reputed entity is engaged in supplying Motorcycle Ignition Coil. In order to meet excellent quality standards, we are supplying Bike Ignition Coil. Rajen Auto Spare Parts Pvt. Ltd.
We have highly acknowledged organization engaged in presenting a remarkable range of Bike Ignition Coil. 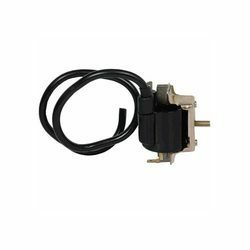 We are amongst the most reputed names in the industry, offering Bike Ignition Coil. From our wide consignment, we are affianced in supplying Motorcycle Ignition Coils. Our reputed entity is engaged in supplying Bike Ignition Coil. We manufacture specialized coils for the popular YBX model motorbike of Yamaha. These coils provide quick ignition to these bikes, as they are made of good quality conductors, wires and cables. They also consists an iron core with primary and secondary windings. Our coils deliver high performance and follow the principle of induction. Banking on our enriched industry experience, we are able to supply Motorcycle Ignition Coil.